Navigate to the page that you want to edit. Click on the "Edit" tab (to edit the whole page) or click on the "edit" link for a particular section. You can make changes to the text in the edit window, and click on the “Save page” button to save your changes. 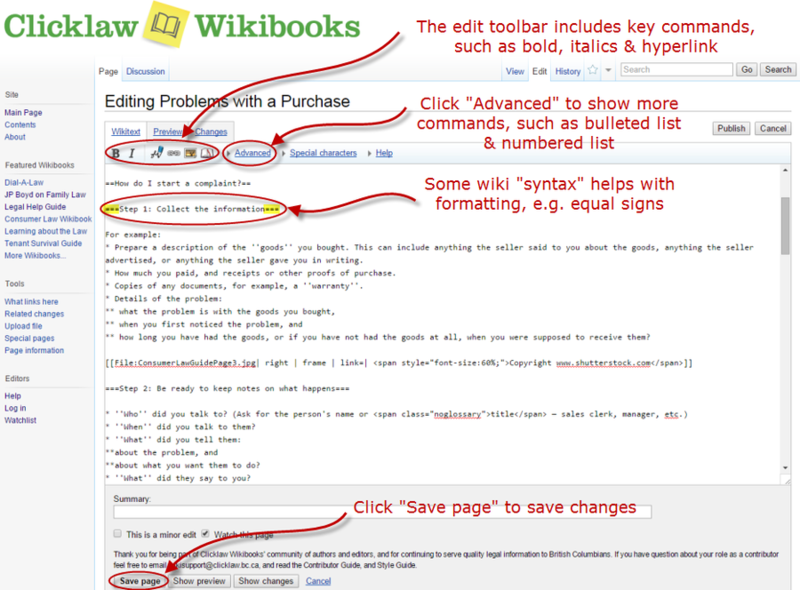 The good news is that there are not very many wiki codes, and many of them (for example, bold, italics, hyperlink) also have buttons in the edit toolbar that you can use that will automatically insert the codes. The Clicklaw Wikibooks Cheatsheet features the key wiki codes. 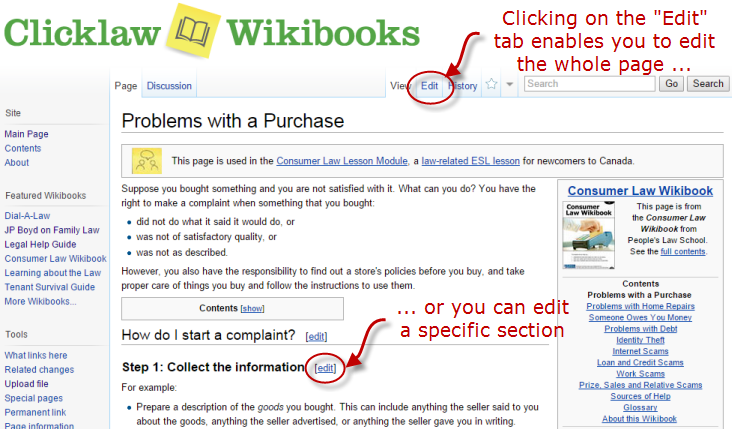 Also available is a Clicklaw Wikibooks Style Guide that highlights key style and word usage for Clicklaw Wikibooks. This page was last edited on 30 March 2013, at 10:03.